I previously did a comparison between CNX2, DXO6, and ACR6.2 to see how they compared at removing chromatic aberration from images taken with the Tokina 10-17mm fisheye CA Removal. Since I am now using the lens on a higher resolution full frame camera, and the software has been updated, I decided to do a new comparison. 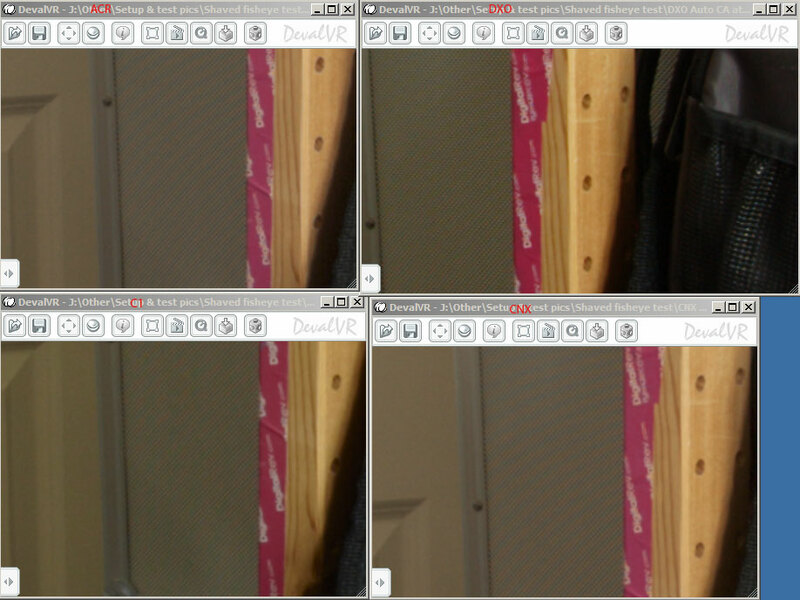 I mostly use the lens for shooting 360 degree panoramas, so bear in mind that this was my focus in these tests. 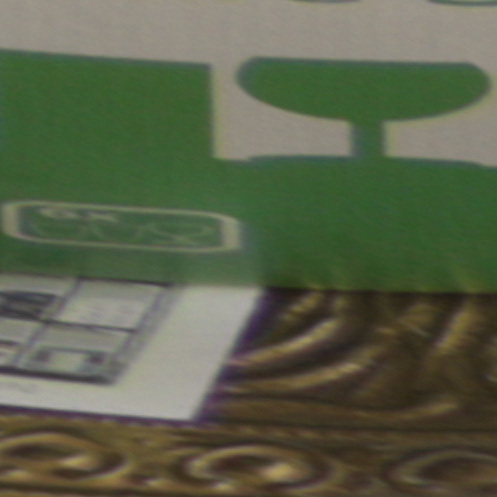 The comparisons were done on the 5D mark 2, aperture set approximately f/10. Focus was a bit less than infinity, possibly a metre. I took three shots around and then processed the RAW files using four different programs - ACR7, CNX2, DXO7, and Capture One 6. Capture NX2 doesn't support CR2 files, so I converted to TIFF with no corrections in ACR, then processed the TIFFs through CNX2. In all software I turned off all adjustments except CA correction. 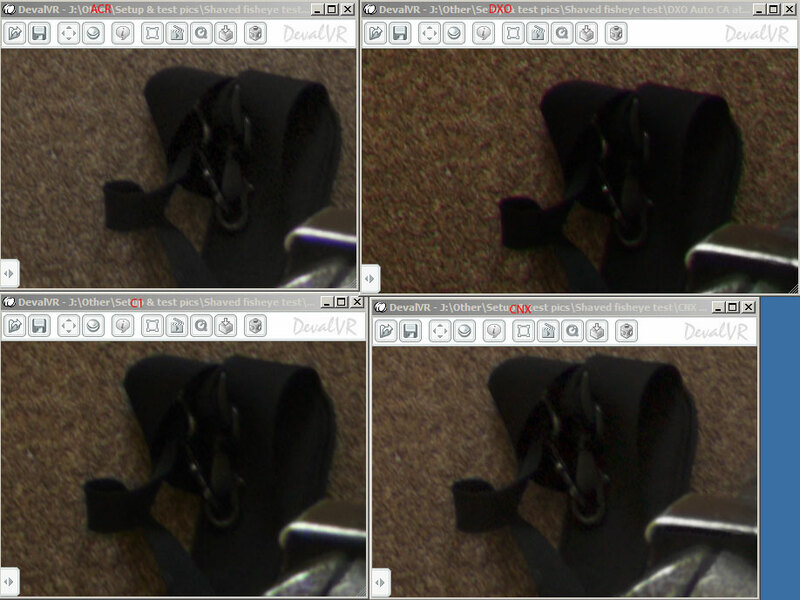 For each one I processed a set with Lateral CA correction only, and another set where PF removal was enabled as well. After processing the RAWs, I stitched the resulting images into a 360° equirectangular image using PTGUI. I then examined the images in Photoshop and also the DevalVR panorama player. Images taken at 10mm, 200% crop from near top of equirectangular image - CA should be worst here. Images taken at 10mm, 200% crop from near bottom of equirectangular image - CA should be quite bad here. 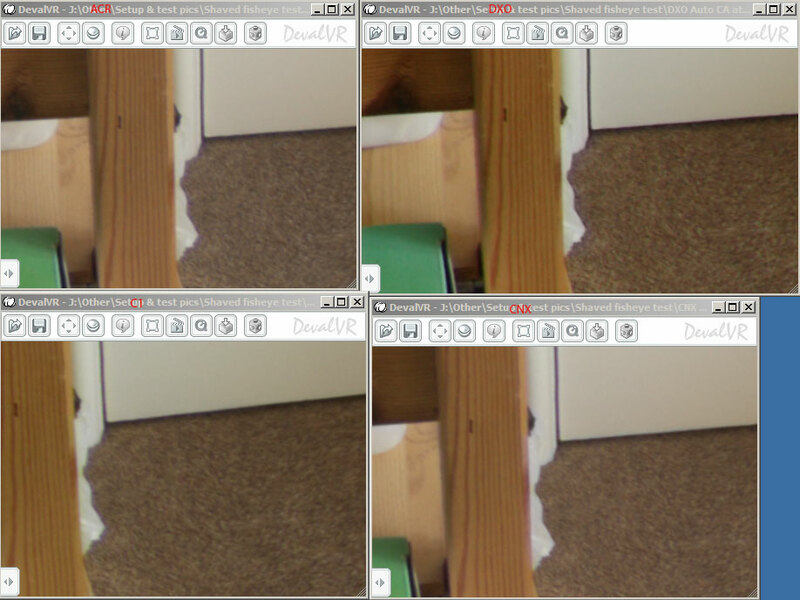 Images taken at 10mm, zoomed in views using devalVR (shows crop of image in rectilinear projection). 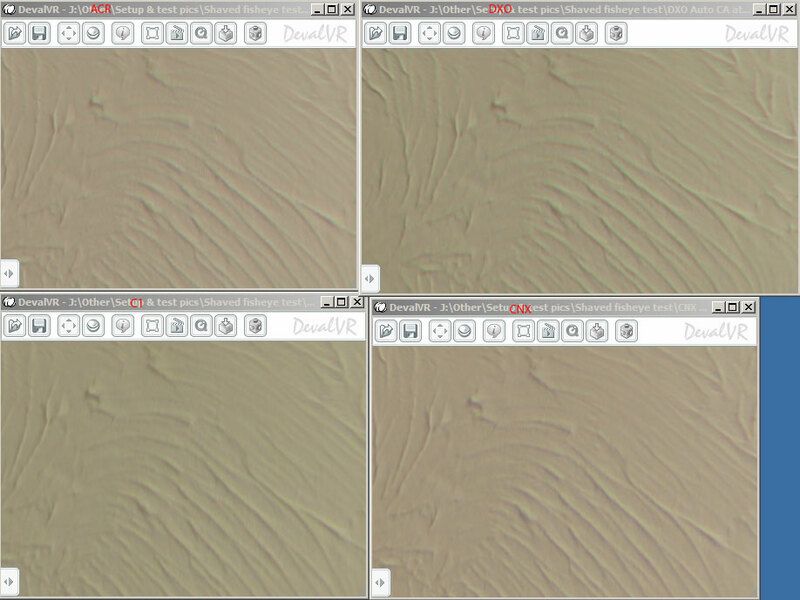 Here I compared ACR7, CNX2, DXO7 and C1v6 with auto CA and auto PF / defringing correction. I would say that DXO, ACR, and Capture One all seem to produce a better result when PF removal is turned on as well as CA removal. Having axial CA correction turned on in CNX2 didn't seem to produce much difference. In terms of effectiveness with PF removal turned on, DXO was OK, Capture One and ACR were both pretty good, and CNX2 seemed to produce the best result. ACR seemed to produce some moire on a box with a tight pattern on it. Since the CNX2 conversion is based on an ACR conversion, the CNX2 image has the same moire. I mostly shoot outdoors though, so moire is unlikely to be much of a problem for me. 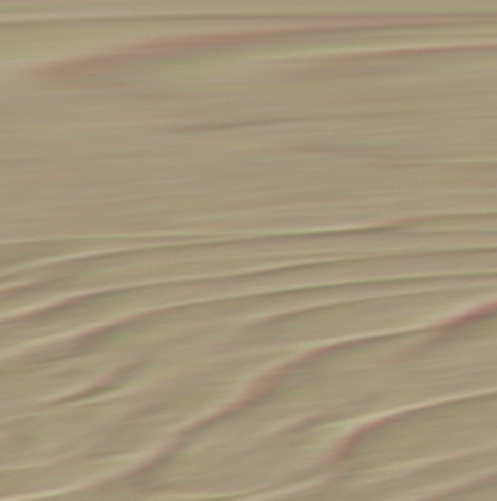 Images taken at 17mm, 100% crop from equirectangular image - this part of the image seemed to have the largest amount of CA still visible after correction. With the lens at 17mm I think ACR does a better job than the other options. I intend to be mostly using the lens at 17mm for 6 shots around + 1 up + 1 down panos on the 5D2, so I think ACR will be my RAW processor of choice. When I need a quick pano taken at 10mm, I will try ACR. If not good enough, then I can convert in ACR with no CA correction and run the TIFFs through CNX2 for CA removal.